Pastor Paul was born in New Mexico in 1946 and as a child lived in Arkansas, Oklahoma and Texas before moving to California in 1953. He attended High School in Norwalk, California and Southern California College (now Vanguard University) majoring in Religion. He served in the United States Army from 1967 to 1970 with one overseas deployment to Korea. He has served as Senior Pastor in Southern California and Colorado for 10 years. He also served as the President on Mental Health Services Inc., a mental health agency contracting with San Bernardino County as well as qualifying as a Level One Reserve while pastoring in Needles, California. He spent 30 years in the Insurance business completing that carrier as the Regional Claim Manager, over Northern CA, Washington, Oregon, and Nevada after 23 years with Capital Insurance Group. During his years in the insurance industry he served in various board positions and as President of the Central Coast Claims Association and was a member of the Northern California Fraud investigators Association. He is now retired. Since moving to this area Paul has worked in various capacities with Don Pedro Baptist Church and was ordained in August 2006. He was voted in as the Associate Pastor in May 2012. 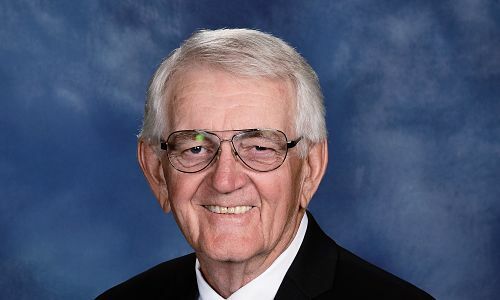 He founded and serves as the President of the Christian Bass Anglers Fellowship, a ministry to tournament bass fisherman and conducts camps for children interested in bass fishing. Paul and His wife, Diana have three married sons, Tim, Chris and Mike. Diana is very supportive of his ministry and is an excellent counselor and Bible teacher.